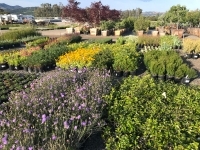 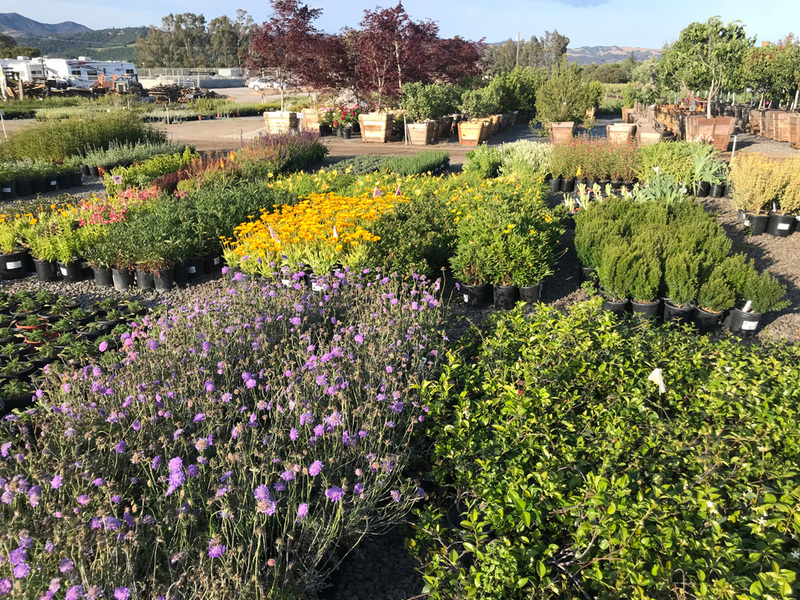 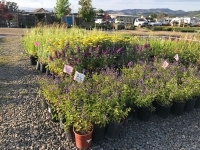 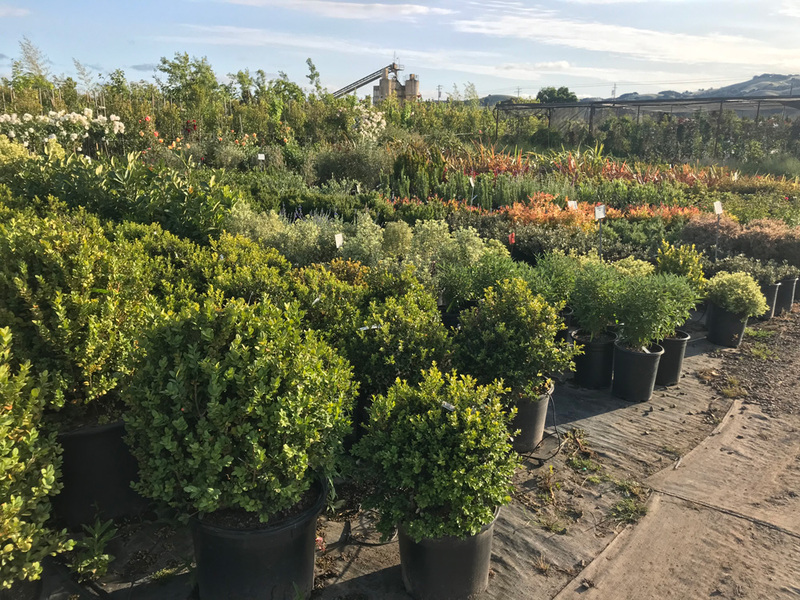 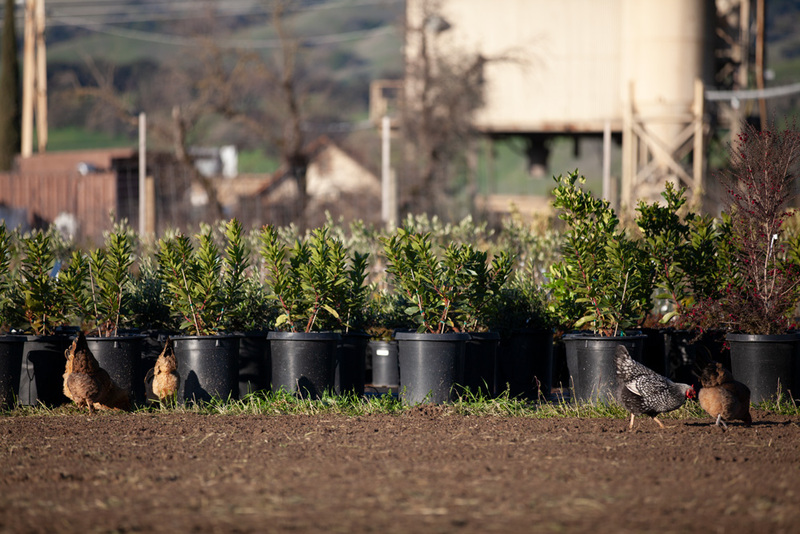 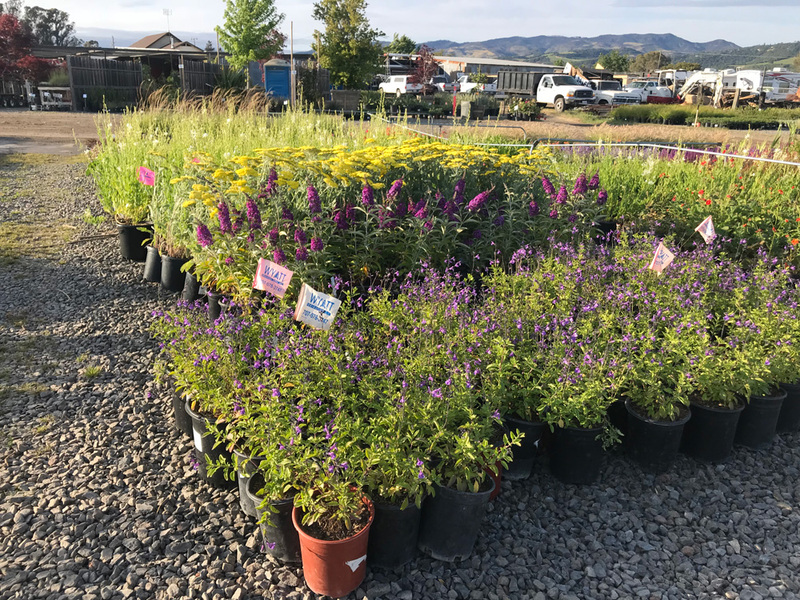 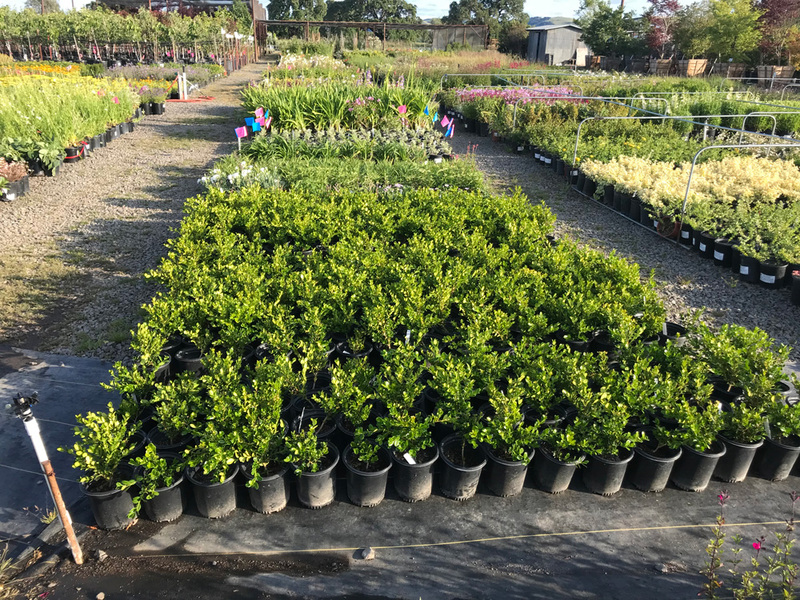 We stock a broad range of shrubs — lavender of all types, rosemary, penstemon, salvia, Arctostaphylos, Ceanothus, Rhamnus, Myrica, Eriogonum, Romneya, Achillea and Epilobium — including many California Natives, which thrive in the nursery’s proprietary composted soil and transition well into clients’ environments when planted. 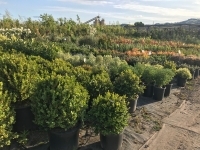 Favorite shrubs and hedges like Thuja, Pittosporum, Buxus (Boxwood), Laurus nobilis (Laurel), Rosmarinus (Rosemary), Prunus laurocerausus (English Laurel), ‘Little Ollie’ dwarf olive, Berberis, Ligustrum, Rhamnus and Myrica in sizes from 5-gallon to 36” box are ideal for creating screening, feature areas and garden structure. 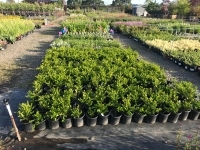 Screening shrubs are the most popular thing we grow. 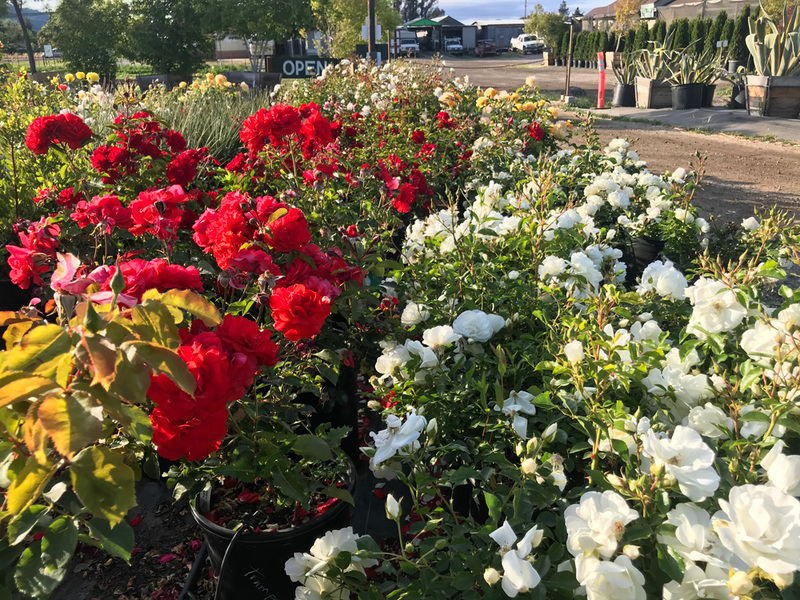 Our David Austin and Weeks roses in shrub and tree form, and countless landscape foundation plants like Pittosoporum, Mrytus, Gervillia, Phormium and Chondropetalum are ever-popular, as are vines such as wisteria, clematis, Trachelospermum, and Lonicera.